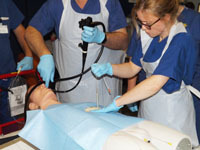 Please find below EYSE’s decontamination video for processing endoscopes which we use on all our basic skills courses. A full day course with a theory session then hands-on porcine models in a very friendly environment. Please see the Endoscopy Nurses Training Day Flyer for details. This is a 2 day course using a combination of theory and simulation based training using live link, case studies, hands on training using state of the art simbionix simulator. This covers indications, complications, FNA using anatomical simulators 1:1 training. Please see the attached EUS Course Flyer for details. This course uses a mixture of theory and hands on training using pig models for PEG insertion. It will provide the essential background knowledge necessary to aid nurses with patient selection and preparation for PEG insertion including common complications and troubleshooting. 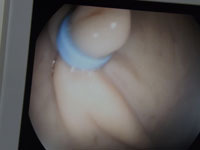 This is aimed at Endoscopy nurses wishing to train in PEG insertion. This course will be aimed at Respiratory, Anaesthetic, Intensive Care, Cardiothoracic and Core Medical Trainees. We will be running this course 2-3 times per year. This is to familiarize candidates using simulation bronchoscopy with bronchoscopy procedure, consenting, sedation and bronchial anatomy. 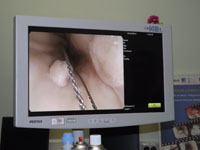 In addition the candidates will have the opportunity to practice using a simulator, technique of navigation of bronchoscopy, recognising segmental bronchial anatomy and perform bronchial wash, brushing and biopsies. This course will be held in the Clinical Skills Facility at Hull Royal Infirmary. 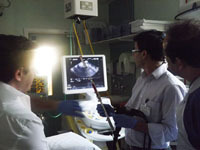 The East Yorkshire School of Endoscopy,CastleHillHospital, were invited byAin Shams University Hospitals,Egypt to deliver practical endoscopy courses to their specialist trainees. Professor Graeme Duthie, Dr Yassir Khiyar and Dr George Abouda delivered this course. The program was supported by theUniversity of Hull, as a part of its international affiliations, and promotion of post-graduate courses. The focus of this visit was to transfer the British educational knowledge in endoscopy training to Egypt in order to improve gastrointestinal endoscopy practice over there. 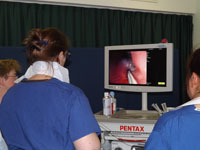 EYSE is one of England’s Regional Training Centres for Endoscopy and have been providing training for doctors, nurses and non-medical endoscopists since 1995. We plan to deliver more courses in Cairo in the future. 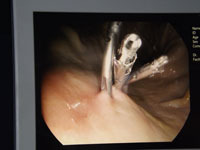 Training the Endoscopy Trainers is considered one of the best and popular methods of teaching the endoscopy trainers. Associate Training Program aims to build on participant’s confidence in a very supportive environment before getting involved in endoscopy training. This is an interactive course with practical examples throughout. It is unique as it is structured to give the opportunity to observe experienced trainers on practical sessions with variable levels of trainees for 3 days, and then you train under observation with constructive feedback. 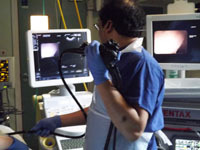 The program is targeted at experienced endoscopists who would be involved in endoscopy training and have had the TET or TCT. You should ideally be a final year SpR, experienced staff grade or senior nurse endoscopist involved in training.